You probably have an ID card, an ATM card, and a credit card, but do you have a Marion County Public Library System card? According to its web site, the MCPLS "is the starting point for access to a wealth of information, with personal service provided by knowledgeable staff." Services to library card holders include being able to borrow books, magazines and audio resources; online access to digital media and research databases; on site computers with Internet access; research assistance and reading recommendations; and programs, classes and events for all ages. The MCPLS is funded by general revenue such as taxes and other state shared revenues, library fines and fees incurred by its users, and private donations and state grants. 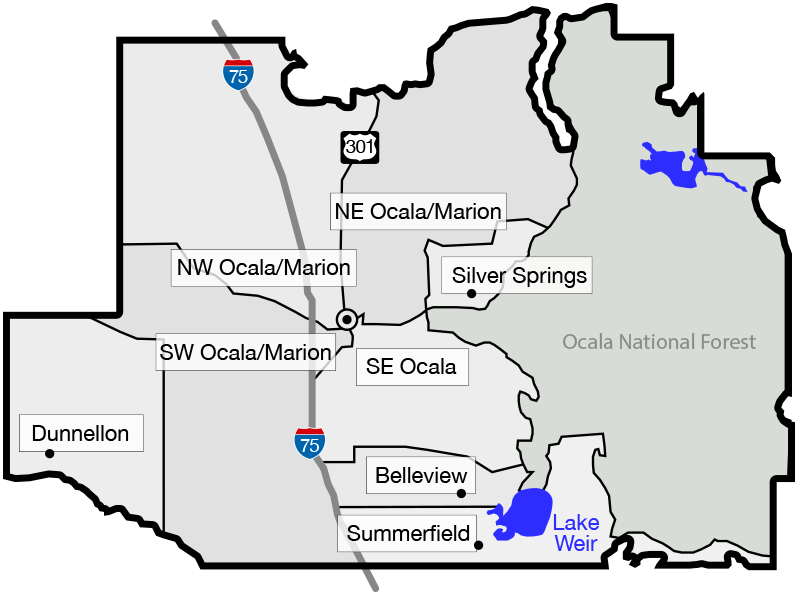 Three of its eight locations are located in Ocala, so there’s sure to be one convenient for you. Learn how to get a library card here. Monday, Wednesday, Friday and Saturday: 10 a.m. to 6 p.m.
Monday and Wednesday: 2 to 8 p.m.
Tuesday, Thursday and Friday: 10 a.m. to 6 p.m.